Here’s the thing about summer . . . it isn’t over yet. And when you think about fun summer moments, you usually picture a fun summery drink in your hand, don’t you? What with our western culture constantly emphasizing mindless drinking over genuine emotions and honest conversation? 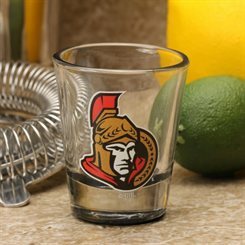 So let your friends at WTYKY help your summer go out with a bang – put down that stale Bud Light, drop that flask of Silent Sam, seal that jug of the blood of the unrighteous – by putting some Sens-themed jazz in your glass! Try our summer cocktails . . . with a twist! Get it? Combine all ingredients over ice in a Boston shaker and shake vigorously for approximately five minutes, or until the egg white develops into a stiff foam. Strain into a highball glass, top with soda water and garnish with an orange wheel, then throw the drink away. Stir Hpnotiq with ice and strain into a martini glass. Note its bright blue colour with disgust. Slowly stir in dark rum until the drink takes on a reddish-black colour. Nod with approval. Garnish with a lime wedge and tell everyone how smart you are. Mash all the fruit in a bucket and mix in the yeast. Leave under your basement stairs for at least six weeks before sampling. If mixture is foul and unpleasant, put it back and try it again the following year. Repeat annually until bucket is empty. Drop the Robaxacet into a shot glass full of whisky and then drop the shot glass into the beer. Chug gingerly. Ask your bartender for a high-quality, aged tequila (it should say “extra anejo” on the bottle). Take a sip, then proclaim loudly that it’s too old and you’re not paying full price. Ask the bartender for a second drink and look confused when he says you won’t be able to afford it. This isn’t a cocktail but really more of a challenge. You’ll need 23 shot glasses and a few friends. Line up the shot glasses on the bar and fill each with vodka. Tell your friends you can consume at least 20. Ignore their doubts, drink rapidly, and feel awesome. Don’t worry about the hangover later. Carefully pour ingredients into a chilled old fashioned glass in order, creating distinct red, white, and blue layers. Garnish with a small sparkler and American flag toothpick. Enjoy while trying not to think about your ex leaving you. Stir the grenadine and lime juice with ice in a Collins glass, then top with Sprite. Garnish with a maraschino cherry. Say to yourself, wait a minute, isn’t this just a plain old gin and tonic? Then remember how much you always enjoy a really good gin and tonic, and how you underrate them only because they’re just consistently excellent. Resolve to make a gin and tonic so unique and so exceptional that it can’t be ignored. Resolve to make the Erik Karlsson of gin and tonics. Sell your car and buy a ticket on the next flight to Stockholm. Get in an airport cab, hand the driver the rest of your money, and say, “Norr.” Watch him in the rear view mirror as he nods solemnly. Twelve hours later he will drop you at the side of an abandoned mining road, 25 miles north of the tree line, and utter his first and only words to you, “Du måste gå resten,” before turning around and driving away. Begin walking, until the road gives way to tundra, until the tundra turns to permafrost, and until the permafrost fades into ice. Build a fire with anything you can collect and fall into a shallow, dreamless sleep. When you awake, notice the robed and wizened man standing nearby, pointing silently toward the mountains. Climb. After several hours, when you are frostbitten and snowblind, you will see, on a distant peak, a small juniper bush growing impossibly out of the rock and snow. Collect its berries, then distill them with grain alcohol in an artisanal copper pot still. Travel south until you reach a road, where the cab driver will be waiting for you. He will drive, wordlessly, back to the airport where he will hand you an envelope. Inside will be a one-way ticket to Bolivia. When you land, walk through the airport until a burlap sack is thrown over your head and you are hustled, at what feels like the point of a rifle, into the bed of a pickup truck. When you are unhooded hours later around a rebel campfire, earn the trust of your captors by telling the only Quechua joke you know and graciously chewing the coca leaves they offer. Trade your watch for a knife. When the military storms the camp that night, killing rebels all around you in a hail of gunfire, stagger into the darkness of the jungle with the only other survivor, a 15-year-old boy named Paucar. Realize he is bleeding badly from his leg. As he dies in your arms at sunrise, mop his brow while, with his final breath, he whispers directions to the nearest airstrip. Wander the jungle for hours, sobbing and chewing fistfuls of coca leaves. Just as delirium begins to set in, find yourself in a small grove, beams of sunlight breaking through the jungle canopy to illuminate a lone cinchona tree. Using your knife, strip its bark, then grind it into a fine powder to extract its quinine. Mix with artisanal sparkling water. Find the airstrip and barter your knife for passage in the hold of a cargo plane. When you finally make your way home, write a best-selling account of your ordeal. Watch as publishers fight to give you a seven-figure advance for your second book. Buy your car back. One night on your book tour, at a bar in some dark, snowy city like Grand Forks, drink that fifth Scotch and soda and muster the courage to talk to the woman sitting next to you, silently nursing the same glass of white wine for three hours. Move too quickly. Buy a colonial farmhouse in Maine. Watch her start a mail-order heirloom seed company while you spend 12 hours a day in the attic, chain-smoking in front of an old Remington typewriter as you realize you have no new ideas for your second book. Frequently refer to the process as a “difficult birth” and laugh bitterly. When she comes upstairs one day and tells you not to worry so much, scream at her about who’s actually paying for those seed packets and throw your ashtray through the dormer window. Watch her leave through the hole in the glass. Do the Andrew Hammond by yourself, then crawl into bed and sleep for a week. Wake up and notice that all her things are gone, except for a small packet of non-GMO Longfellow organic cucumber seeds. Plant them behind the gazebo and start writing a novel about a man who comes to terms with his life and ultimately burns down a Maine colonial farmhouse. When you’re finished, harvest a single cucumber. Cut a ¼-inch slice using an artisanal paring knife. Combine ingredients with ice in a tumbler and stir. Enjoy.